Nature does have many interesting phenomena to observe, something strange, unique, amazing, even horrible. Natural phenomena can occur in any hemisphere and each country must have its own natural phenomenon according to geographical location. Not to forget Indonesia also has a phenomenon that is not less interesting with other countries. Here are natural phenomena that you can find in Indonesia. 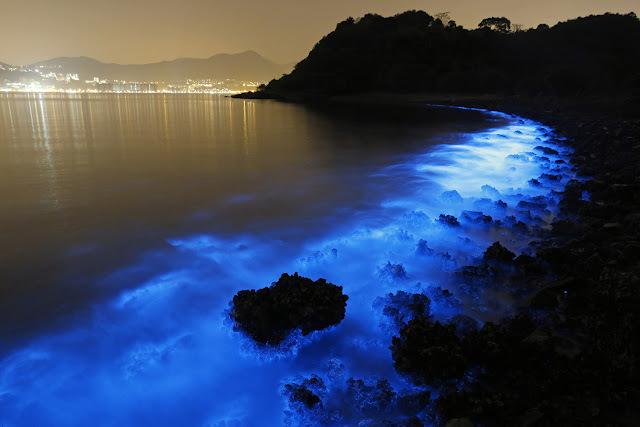 Bioluminence can only be found in certain areas of the world. The phenomenon arises when an algal sea population explodes, the algae causing millions of dinoflagelates and plankton to emit light as a defensive mechanism to avoid predators. The more disturbed the more light generated. Usually often seen when the water is not calm and choppy like when there are boats or surfers. You can see this phenomenon during the night at Padang Bai beach, Bali. As a tropical country that has a hot temperature it seems impossible there is snow. 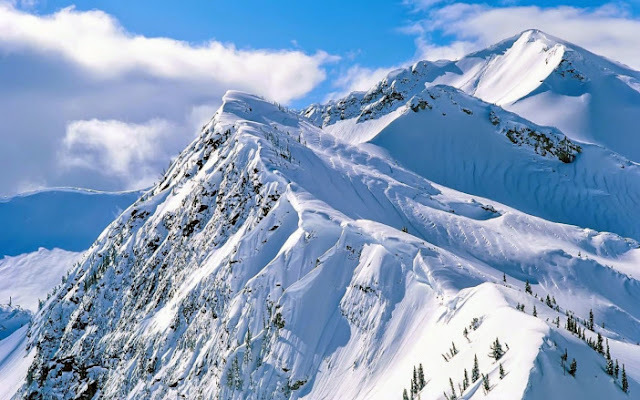 But that does not apply in Puncak Jaya Wijaya Papua, with an altitude of 4,884 meters makes the peak has a very cold temperature that allows the ice layer to form and survive until today. But recently rumored some glaciers or ice cover at the top disappear due to global warming. Based on the latest BMKG measurement on November 23, 2016 ice thickness remaining 20.54 meters and is expected to disappear by 2020. Lahar is indeed different from lava that spewed during eruption in general. 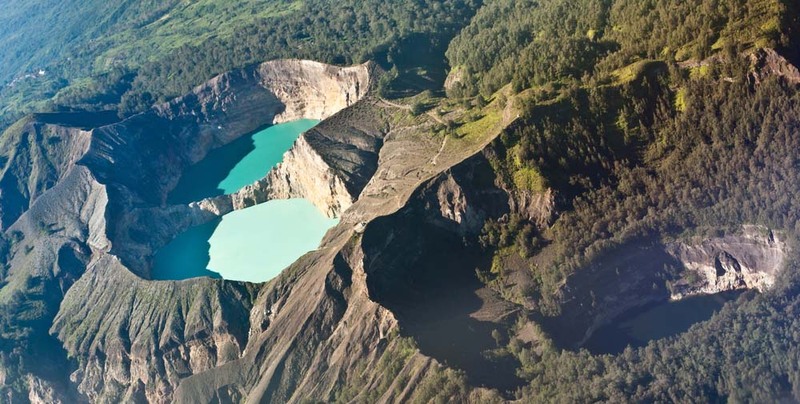 This phenomenon occurs in the crater of Ijen mountain. 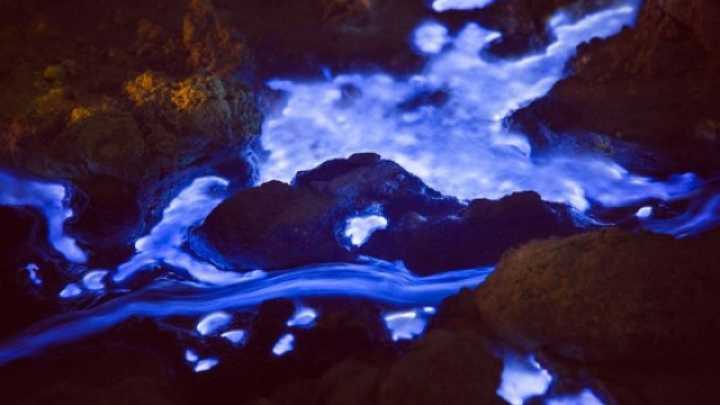 The mountain is located on the border of Banyuwangi and Bondowoso East Java this crater out lava amazing electric blue. According to scientists, the blue color is caused by the burning of sulfur gas that reacts with oxygen in the air. The resulting combustion is very hot that reaches a temperature between 360 - 600 degrees Celsius, causing the burning of blue fire like a gas stove. 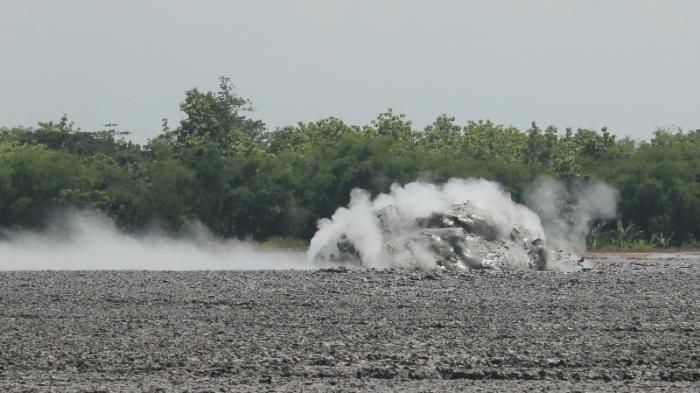 Bledug kuwu is the phenomenon of explosion in the crater of mud like in Porong Sidoarjo. 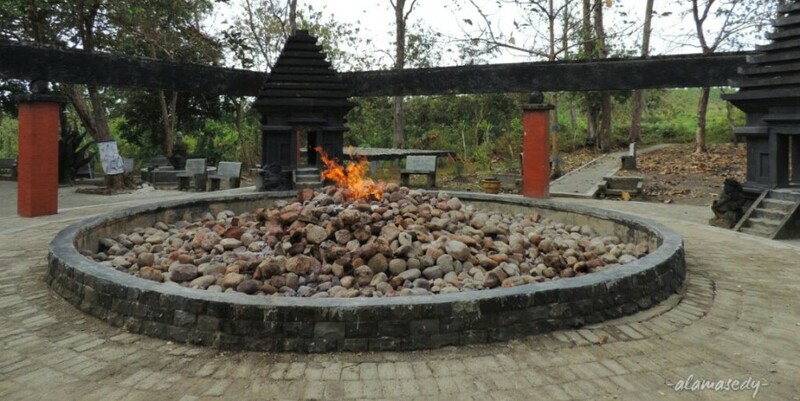 However, this phenomenon has existed since the time of mataram around the year 732 - 928. The name bledug kuwu taken from the Java language "bledug" which means dust / mud and "kuwu" is the location bursts in the village Kuwu, District Kradenan, Grobogan regency, Central Java. Geologically this mud eruption is caused by the release of methane gas from the earth, the height of this explosion can reach 2m. This mud also has a mineral content of salt that is usually used by residents to make crackers. If usually big waves occur in the sea, this wave actually occurs in the river. Precisely in the Kampar River, Riau province, the waves are not inferior to the sea. The roll of the waves in this river can reach a height of 4-5m, because kesahancarnya the surfers take advantage of this moment to surf ria amid the swift stream. This bono wave phenomenon occurs due to the confluence between river currents leading to the sea and tidal currents leading to the river. Bono waves usually occur on 13 - 18 in Hijri calendar, or when the full moon. The lake is located on the peak of Mount Flores in Flores and NTT has its own uniqueness of other lakes. Its uniqueness lies in its water color that can change at any time. The lake is 3, named Nuwa Muri Koo Fai, Ata Polo and Ata Mbupu. Each one has a different color and can vary from time to time. According to the study of color change is caused by the geochemical process from the bottom of the lake that produces certain chemicals in water.